ST. CLOUD —Todd DeZurik, who works as a Dial-a-Ride Operator for Metro Bus, placed third at the 2018 National Community Transit Roadeo in the Body on Chassis division. The competition was held last weekend in Pittsburgh by the Community Transportation Association of America. 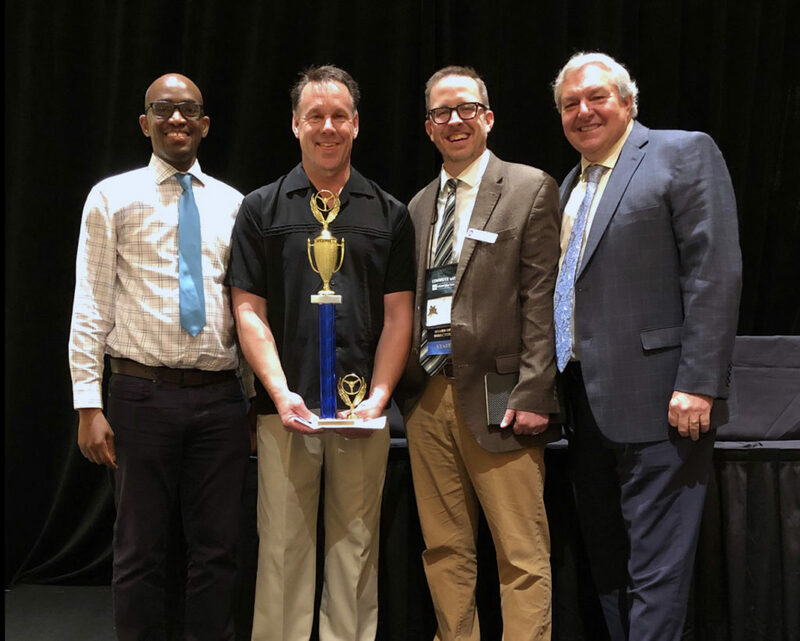 Todd DeZurik (with trophy) is pictured with Ryan Daniel, Metro Bus CEO (left); Scott Bogren, CTAA Executive Director; and Gary Schiavone, CTAA Roadeo Committee Member (far right). This is DeZurik’s fourth time placing in the top three nationally — placing as high as first place last year. 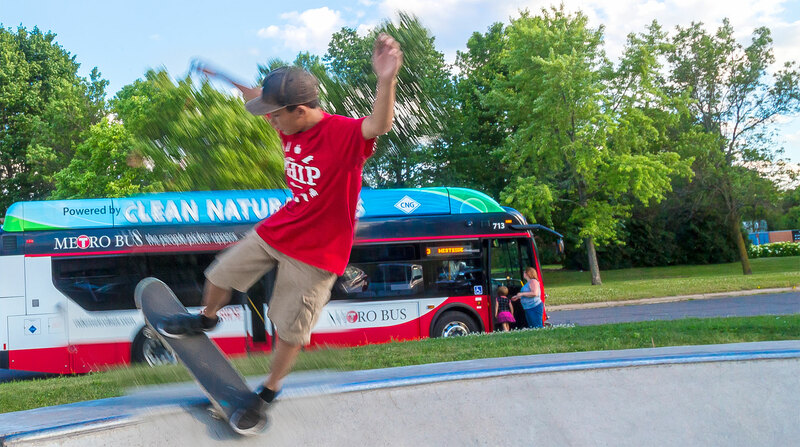 The Bus Roadeo is a chance for drivers to showcase their skills by driving through a timed obstacle course which mimics real-life driving scenarios. More information about the National Community Transit Roadeo is available at ctaa.org.